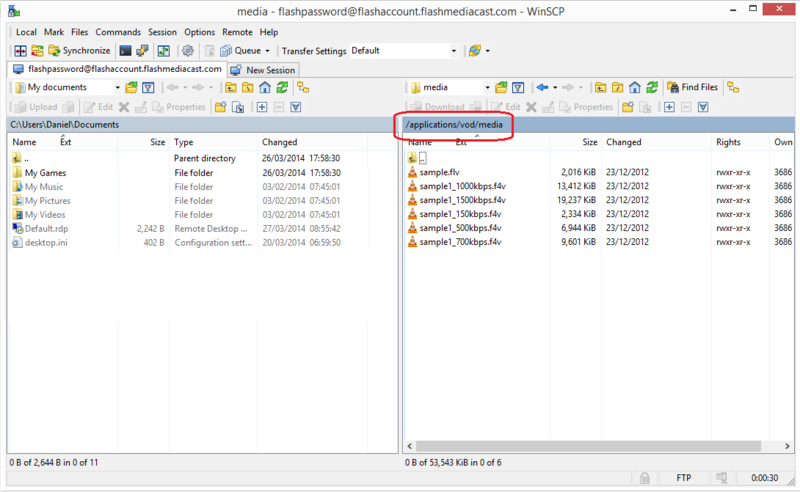 In order to stream files on-demand with a Flash media server you must first upload the files to the server using FTP client. I would recommend that you use WinSCP because it is free. If the files that you upload to the server do have those extensions the server will not play them. I would recommend Free FLV Converter to do this because it is for free. You can download it from: here. 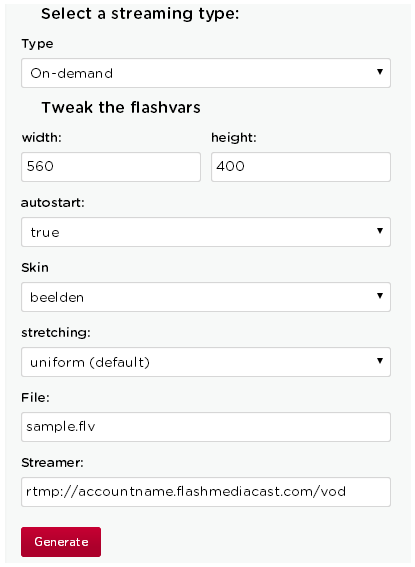 After you have downloaded the Free FLV Converter please open it. Please click on the button marked with red "Conversion to FLV" after that please select the path the video that you want to convert. To select where you want the new video to be put you need to select a path at "Output path". To select the resolution, bitrate, audio bitrate, of the converted file you need to scroll down and put in the desired details. After you have put in all the details please click the "Convert" button to convert the desired file to a .flv file. 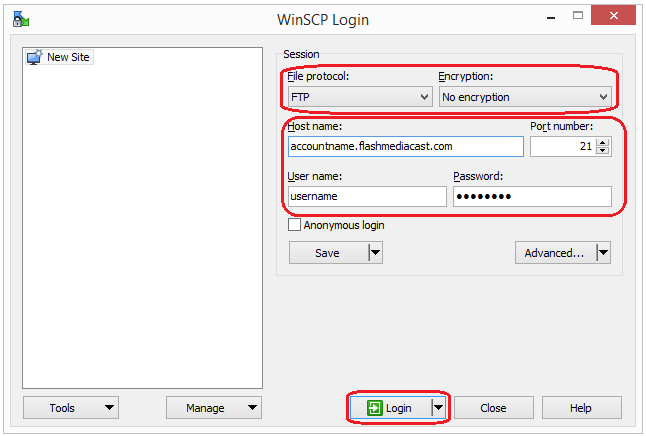 Be sure that you selected the FTP in the WinSCP panel. After you login you will be able to see 2 folders: applications and scriptlib. You need to double-click on the applications folder. After you have selected the applications folder please double-click on the vod folder and upload the files that you want to play on-demand in the vod folder. After you finished uploading the files to the server please login to your account at serverroom with your email and password. After you have logged in you will see multiple tabs Mainboard, Account etc. Please click on the "Embedded code" tab to create the code that you need to put on your website and also to view the file that you want. 1: In order to play on-demand files that option needs to be selected like that. 2: There you can edit the dimension that the player will have on your website. 3: If you want the file to play automatically when someone comes to the website that option must be selected "true" if not please select it "false". 4: From there you can select the skin that your player is going to have on your website. 5: That means that the player will stretch according to the website. 6: In there you need to put the file name: filename.theextensionofthefile. 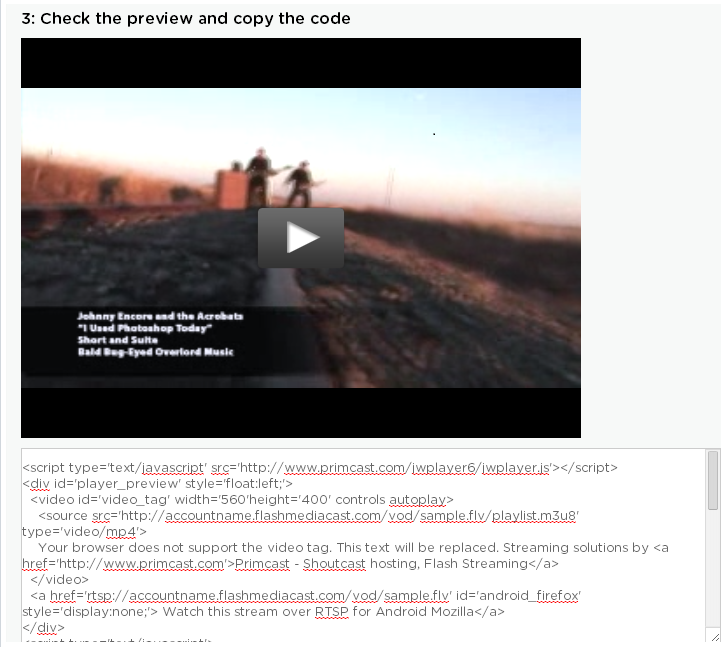 7: That is the path to the vod folder where you uploaded the files. Did you know we sell streaming services? Our audio and video streaming services come with unlimited connections, unlimited bandwidth, and are backed by our 24/7 expert support staff!